We offer generous scholarships to 100% of our full-time M.Div. and M.A.T.S. students. Earning a Master’s degree at Beeson is very affordable. Beeson offers a very competitive and affordable tuition to students. When compared with peer institutions, tuition for the Beeson M.Div. is 10.3% less. Average tuition at 10 peer institutions* was $16,018, compared with $14,374 at Beeson Divinity School. *Peer institutions include: Asbury Theological Seminary, Covenant Theological Seminary, Denver Seminary, Gordon Conwell Theological Seminary, Princeton Theological Seminary, Reformed Theological Seminary, Southern Baptist Theological Seminary, Trinity Episcopal School for Ministry, George W. Truett Theological Seminary, and Westminster Theological Seminary. Tuition data derived from 2017-18 Annual Data Table, the Association of Theological Schools in the United States and Canada. 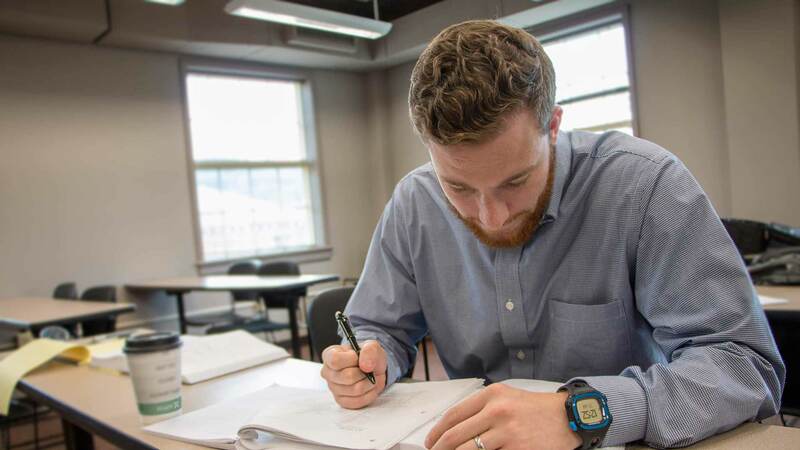 In addition to our affordable rate, 100% of our full-time Master’s level Beeson students receive a scholarship, which makes the cost of a Beeson education even more affordable. We offer three tiers of scholarships, which are awarded based on a student’s admission application. The following shows actual per semester cost after each scholarship tier is applied. *Dean’s Scholarships are available to M.Div. students only. Technology Fee is $175 and Campus Life Fee is $100 per semester. Following the acceptance of a student, Beeson asks for a non-refundable $200 deposit as confirmation of your intention to enroll for the coming semester. The deposit will be applied toward your student account upon enrollment. Current and prospective divinity students are highly encouraged to complete the Free Application for Federal Student Aid (FAFSA) to determine their eligibility for need-based aid programs such as federal work-study jobs and federal student loans. Processing time for the Free Application for Federal Student Aid (FAFSA) form is up to four weeks. The FAFSA report is necessary for all student loan programs available through Samford University. If you have questions, please contact Dougles Johnson at 205-726-2905.